Earlier this week SpaceX (Space Exploration Technologies Corp.) was chartered to send James “Scotty” Doohan (of Star Trek fame) and 207 other peoples ashes into space, but the rocket disintegrated shortly after launch shooting its payload into the Pacific ocean. SpaceX founder and CEO, Elon Musk, was quoted saying, “Neither stage exploded,”…”They just got a little bit cooked“. That’s sensitive considering the families of the departed paid between $995 to $5,300 for the space sendoff which was arranged by Houston-based Space Services Inc. and I’m sure that’s what they had in mind – NOT! You might be asking at this point what’s the motorcycle connection? Well Scotty received an honorary engineer degree from Harley-Davidson’s home town university Milwaukee School of Engineering. But, back to SpaceX who was founded in June 2002 by Elon Musk the co-founder of PayPal. He created SpaceX to help make “humanity a space faring civilization”. The company is HQ in Hawthorne, CA with engine and structural testing done in McGregor, TX. However, the space launch facilities are based in the Marshall Islands, specifically the Kwajalein Atoll on Omelek Island. In certain military circles it’s know as the Ronald Reagan Ballistic Missile Site. 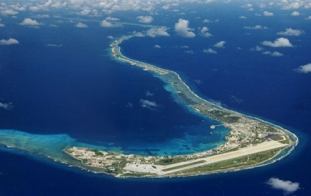 The Kwajalein Atoll is part of the Missile Defense Agency (MDA) and a premiere asset within the Department of Defense Major Range and Test Facility Base. The unquestioned value is based upon its strategic geographical location, unique instrumentation, and unsurpassed capability to support ballistic missile testing and space operations. Unknown to most people is they have successfully completed multiple flight tests of the ground-based midcourse defense (GMD) program which has intercepted intercontinental ballistic missile targets. Some refer to this as “Star Wars” research. I happen to know a bit about “Kwaj” having lived, worked on the island and flown in/out of Bucholz Army Airfield. It was routine to observe ballistic missile targets launched from Vandenberg Air Force Base with interceptors being launched down range from Kwaj. All of the intercept testing is done at an altitude 140 miles above earth, so we only observed launch exhaust “streaks” over the Pacific Ocean in the Western Test Range. You can read more on the military environmental impact of using Omelek Island as the launch facility HERE (pdf). Scotty may you make it to space and RIP.